By law every school must have a governing body. Wirral has 125 schools and almost 2000 school governors. The term of office of a governor is four years, but there is nothing to stop them resigning within that four years. It is estimated that it can take a couple of years to fully get to know the job therefore, governors are encouraged to carry on for a further term of office if circumstances allow. Many governors in Wirral have been in office for longer than ten years. Employment law states that employers must give employees who are school governors 'reasonable time off' to carry out their duties. The employee and employer have to agree on what is 'reasonable time off'. Employers may give time off with pay, but do not have to do so. This is for discussion between the employee and the employer. Basically, governors work in partnership with the Headteacher/staff and oversee the work of the school to make sure that it provides a good quality education for its pupils. Community governors can be people who live or work in the community served by the school, or people who do not work or live close to the school but are committed to the good governance and success of the school. Being a school governor is demanding but rewarding and a good way of putting something into your local community. The most important thing you can offer is your time and enthusiasm. You will need to be able to attend meetings and be willing to read up on relevant issues, allowing time to prepare for the follow-up meetings. It is not necessary to be an expert on education issues, but you should be motivated and have a strong desire to improve the education of young people. Frank Doyle is the Chair of Governors. Frank is married to Eileen and his three children were educated at Woodchurch road Primary School. Aged 55 Frank is a keen Liverpool FC fan and season ticket holder and a proud Grandad. He is the school’s Lead Governor for Computing, Pupil Premium and Mathematics. Dan was originally a member of the governing body as a Parent Governor, he is currently a Co-Opted Governor. His children attend Woodchurch Road Primary School. He is the school’s Lead Governor for SEN and Science. Committees : Appeals, Finance & Personnel, Standards & Curriculum, Complaints(C) and Pay Appeal. Kath was originally a member of the governing body as a Parent Governor, she is currently a Co-Opted Governor. In her spare time she enjoys travelling and going for walks on the Wirral with her family and dog. She is the school’s Lead Governor for History and Geography. 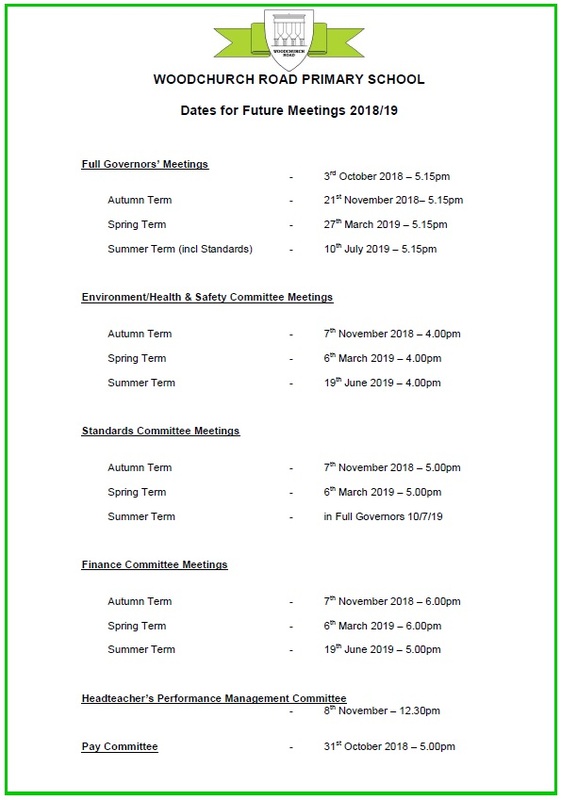 Committees :Staff Dismissal, Pupil Discipline, Staff Appointment, Pay and Finance & Personnel. I am currently a Civil Servant working in HMRC, a Royal Naval Veteran and was originally elected by fellow parents to be appointed as a Parent Governor, she is currently a Co-Opted Governor. 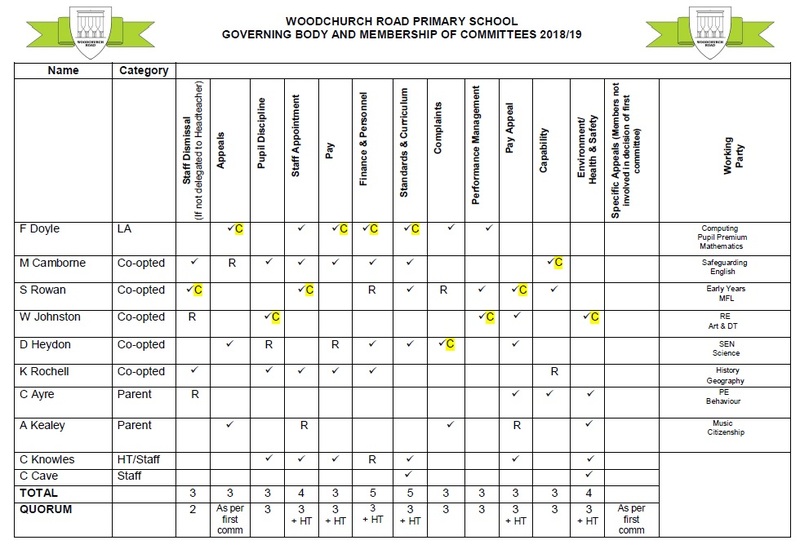 I wanted to join the Governing body at Woodchurch Road as I was extremely pleased with how well my Son settled in F2. After seeing how well the school works to ensure a happy, healthy and successful learning environment for all pupils, I felt that I could offer some time to help in any way needed. As a parent myself, I actively encourage others to get involved with the School and their childrens' education, as seeing my Son do so well and enjoy his schooling is extremely satisfying to all parties concerned. She is the school’s Lead Governor for PE, Citizenship and Behaviour. Committees : Pupil Discipline(C), Performance Management(C), Pay Appeal and Environment / Health & Safety. She is the school’s Lead Governor for Early Years & MFL. Committees : Staff Dismissal(C), Staff Appointment(C), Finance & Personnel, Standards & Curriculum, Performance Management, Pay Appeal(C) and Capability. Craig is the Operations Director of a Management and Consultancy Firm. Craig has extensive business experience and has run or been a Director of Five businesses and hopes to bring his real world business accumen to the Governors’ table. He is the school’s Lead Governor for P.E. and Behaviour. Alistair is a chairperson of a local residents group. Since taking on the roll he has worked with local anti-social behaviour teams in lowering the amount of anti-social behaviour. Alistair has also worked with Merseyside police on a number of road safety campaigns. Alistair has also been a long standing judge for Wirral NHS trust, in what is now called the Heart Awards. Alistair has a keen interest in the schools SEN and helping the school become more autistic friendly. He is the school’s Lead Governor for Music and Citizenship. The table below shows the membership of each of the Committees. These Governors have voting rights at these committees.